Check that you are building 64-bit executable as 32-bit one is not supported. Whoops, that's exactly it. Compiling with 64bit flag fixed it. The upcoming release has a more sensible error message for this. Thanks for answering Mārtiņš. I also just got this message trying to debug a project at work. 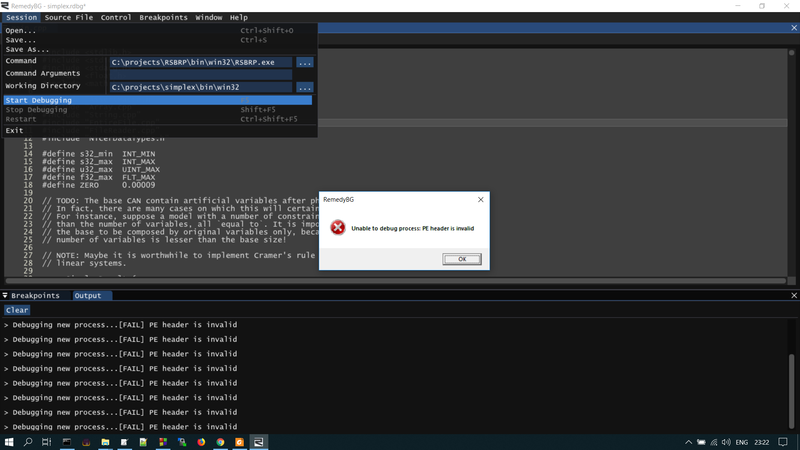 Will RemedyBG support 32bit debugging some day? At least not in the near term. It would be like writing another debugger, essentially.